Indian Space Research Organisation (ISRO)'s attempt to augment the country's indigenous navigation services on Thursday became unsuccessful — the heat shield of the PSLV rocket did not open. The PSLV-C39 took the satellite to orbit; however, the heat shield tip of the rocket inside of where the satellite was housed, did not open, which was scheduled to occur some 3 minutes and 23 seconds into the flight of the launch vehicle. The launch of the ISRO's PSLV-C30 mission. 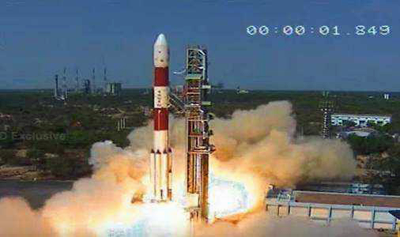 ISRO chairman Kiran Kumar issued a statement that the mission was unsuccessful. All stages of the mission performed well. But there was a mishap. The satellite remains inside the fourth stage. The heat shield did not separate and, as a result, the satellite is enclosed in the body of the fourth stage. This means the mission is unsuccessful. The heat shield separation command will be checked as well as whatever else happened subsequently and all will be analyzed. PSLV-C39 blasted off from the second launch pad at the Satish Dhawan Space Centre, Sriharikota at 7:00 p.m., a minute later than scheduled, to avoid space debris. Article by U Tejonmayam and sourced from the Times of India.